On the 5th day of our trip in Lijiang, we visited a cultural village showcasing the customs and religion of the Nakhi tribe. The religion the Nakhi tribe practice is the Dongba (东巴)religion, which have its roots from Tibet. According to what the tourguide described, it seemed to be a way of life rather than a religion. It also contains its own set of language (Dongba Script) which has over a thousand glyphs and characters. After visiting the cultural village, we zoomed to Blue Moon Valley (蓝月谷), it is a water feature and a nice spot to take pictures.. However, the crowd was too much to handle and we didn't get a good picture and worst of all, we had to spend a lot of time queuing for the mini bus ride which had lots of rowdy locals whom had no respect for orderly queuing. We left the valley with a bad aftertaste. 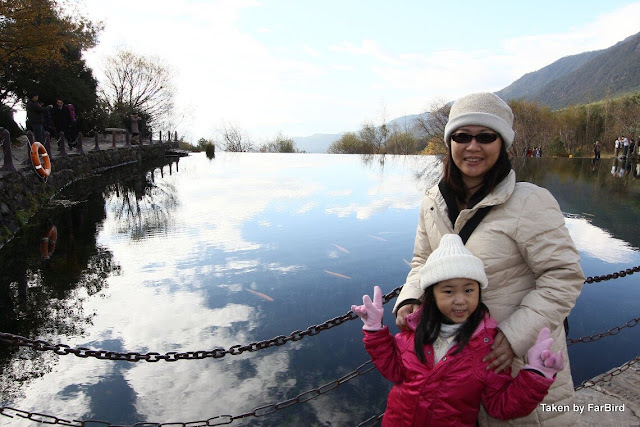 Though there were several other places we visited in Lijiang after we left 蓝月谷, they did not leave much impression. The rest of the day was somewhat ruined after our bad experience with the locals at 蓝月谷.. Or perhaps it was due to the tourguide rushing us with the worry of us being late for the cultural show later on. Our guide practically gave us little time for each tourist attraction on day 5 because we were booked for a 2pm cultural show "IMPRESSION LIJIANG" that was directed by Zhang Yi Mou (张艺谋), aka famous Director of "HERO" and "China Olympics 2008 opening ceremony". Sitting in the open at high noon was no joke. 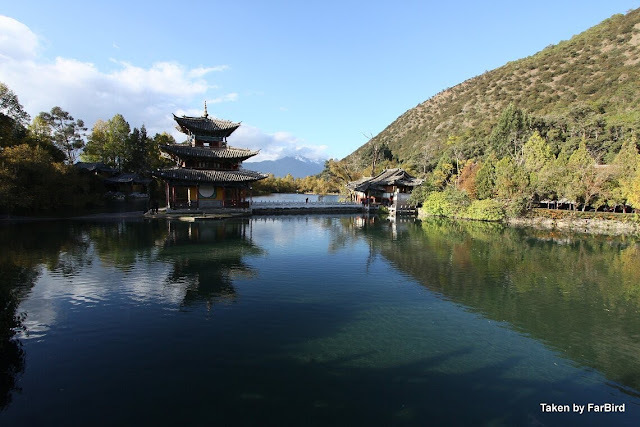 Lijiang is 2400 meters above sea level and that also means that we are 2400 meters nearer to the sun. The heat was awful due to the strong sun, even in winter. We have to bear the sun to watch the show for about 45mins. After the show, we can also purchase a copy of the show on DVD.. Fortunately, we did not buy.. I recall visiting the Black Dragon Pool (黑龙潭) after the show. But it's all starting to get hazy now.. I better complete the rest of this travel log asap. See the rest of the pics for day 5 here!